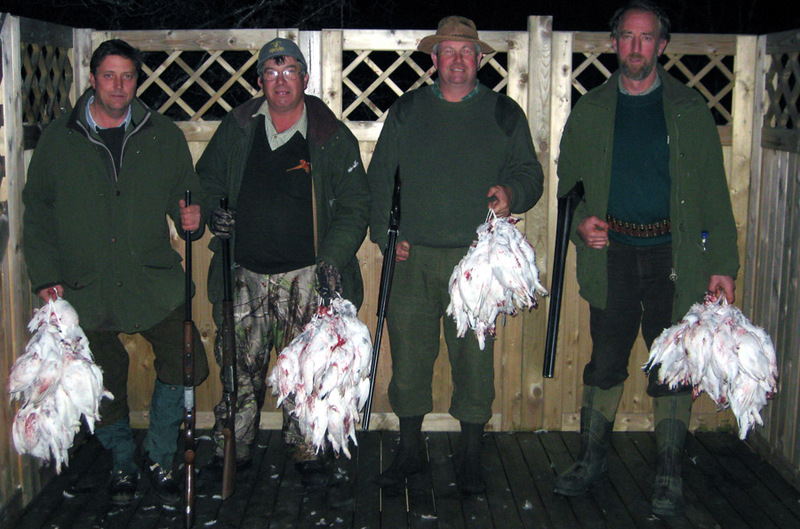 Ptarmigan hunting is by far the most popular wing shooting sport in Iceland and game is plentiful. There is only one Ptarmigan species in Iceland, the Rock Ptarmigan. We are hunting wild birds only. We offer Ptarmigan hunting in the East part of Iceland. This is one of the prime hunting areas for Ptarmigan in Iceland. Our standard trip is 5 days with 3 full hunting days. We hunt both in mountain areas and on the lowlands. This depends on temperature and the amount of snow. Hunters will travel in a comforable 4WD vehicle. One guide accompanies every 2-3 hunters. This is a walk-up hunting only. Hunting season is from late October until early December. Hunting days are only Friday to Sunday each week. Accommodation during the hunt is in a comfortable lodge with all modern amenities, such as hot and cold water, shower, 2 toilets, etc. We serve breakfast, richly boxed lunch and dinner during the hunt. 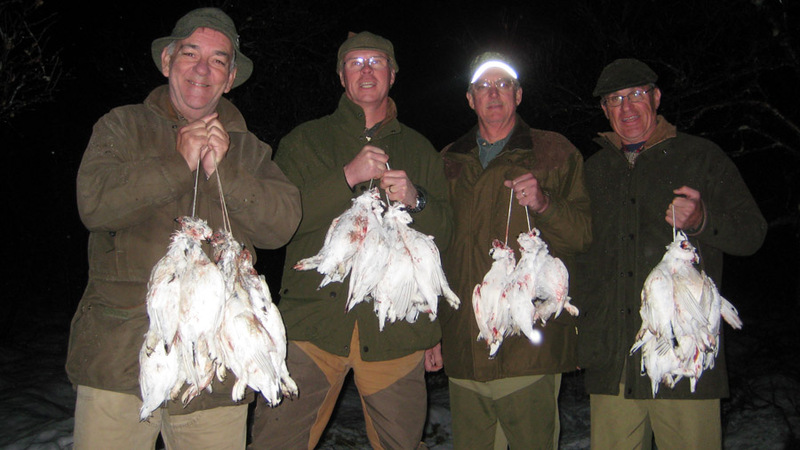 We try to fulfill personal wishes of the hunters in regards to cuisine.